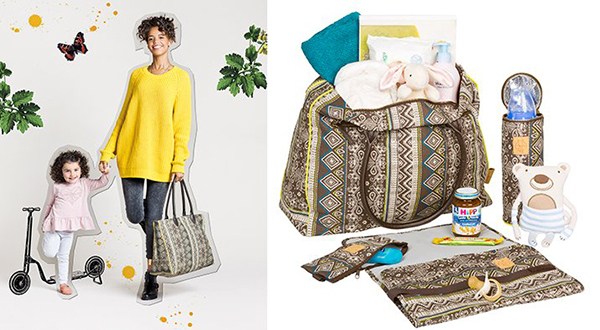 If you’ve been looking for an amazing bag fit for all your baby paraphernalia carrying needs that will be just as useful when the baby phase ends, Lässig is your answer. Lässig means ‘casual’, and this German brand certainly brings the perfect casual design to each and every one of its superb bags. 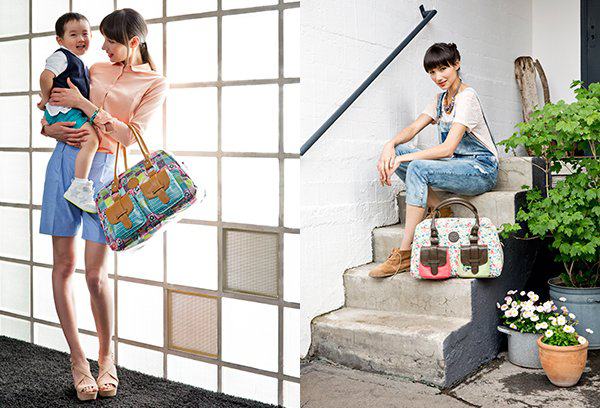 Lässig bags are relaxed and fun, but that doesn’t mean they’re not incredibly stylish as well. Take the Green Label Neckline bag ($249.95) in stunning black melange (pictured above). 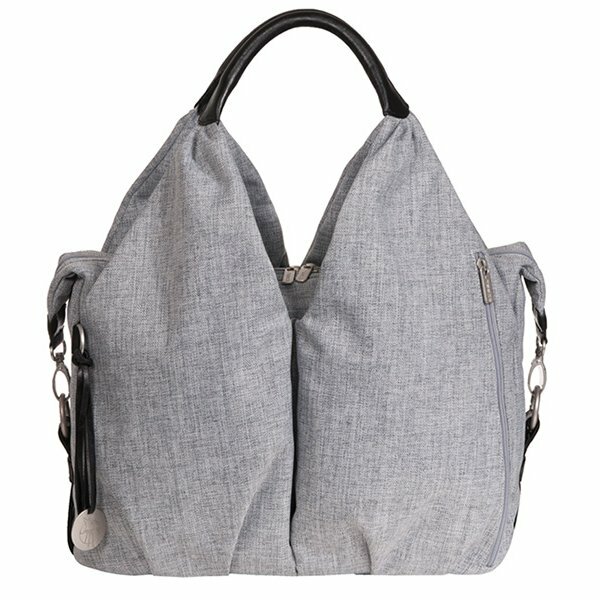 Its slouchy, relaxed style has a modern boho aesthetic and the gorgeous grey fabric turns up the texture notch. If a bag can be a reflection of your parenting style, this might well be mine. Nothing is forgotten by the Lässig team, they know the importance of organisation, shown by bags designed with plentiful pockets. In another clever design move, most bag interiors are bright in colour, making it near impossible to lose anything in the dark depths inside. 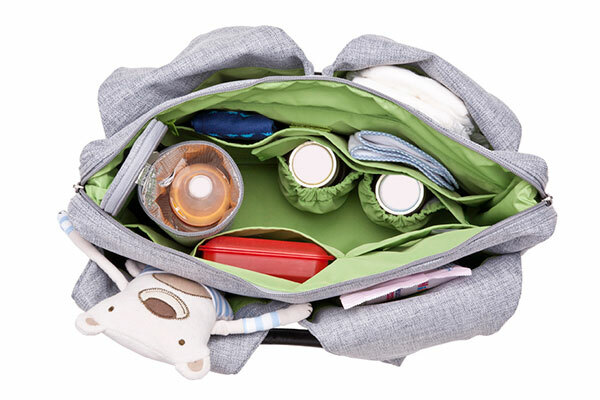 Forget nappy bag rummaging, you can spot that dummy or rusk in an instant. Genius. You’re sure to be impressed with the vast range Lässig has to offer – this talented team wow us with six nappy bag collections, Casual, Glam, Tender, Vintage, Gold Label and Green Label, from the Glam Global Bag in all its quilted glory to the Vintage Weekender (pictured below, $199.95) and all manner of funky and elegant unique styles in between. From totes, shoulder bags and backpacks, there’s a bag to suit every mummy style, there’s one thing that they do all have one thing in common – unsurpassed quality and an amazing eye for detail. 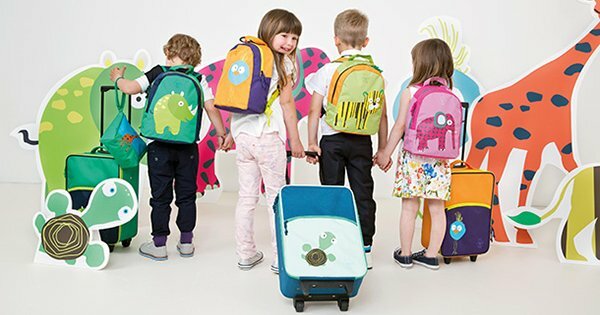 Lässig don’t stop at nappy bags with their creative design magic, they have kids’ bags and toys too, including suitcases perfect for taking on holiday adventures or sleepovers. To see all that is on offer, head on over to Lässig Australia. You can treat yourself to a new bag for Mother’s Day and save 20 per cent across the entire range by using the coupon code BABYOLOGY at checkout. Do be quick though, the coupon code is only valid until May 10, 2015.